Shropshire Hills Art Week- get inspired at the Art Cafe! Local artists will be showcasing their work at the Art Café in the Secret Hills Discovery Centre, Craven Arms, during the first ever Shropshire Hills Art Week. They will be among 40 artists taking part in the nine day long art extravaganza, which runs from 31 May until June 8. The Art Cafe will be open to visitors from 10 am until 5pm each day (except for Monday June 2) and admission is free. All of the work on display will be available to buy. Participating artists include painters, sculptors, printmakers, textile artists, photographers and illustrators. The Secret Hills Art Café Group has been meeting at the Discovery Centre in Craven Arms since 2004. The group is involved in collaborative arts activities and also aims to bring art to a wider audience. 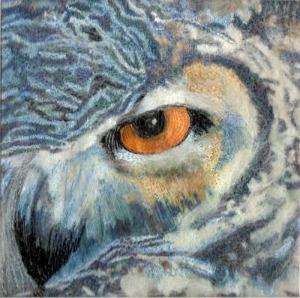 It is one of a number of groups taking part in SHAW, and other individual artists are showing work in their own studios. Lesley McKnight, Art Café Co-ordinator, said: “the Art Café artists are delighted to be part of the first SHAW art trail. “We see it as an important showcase for the wealth of creative talent in this part of Shropshire, which has tended to be overlooked”. SHAW Director, Jules McRobbie, said that she hoped that Shropshire Hills Art Week’s focus on landscape and wildlife would encourage visitors to really look at their surroundings as they go around the venues and talk to artists. One of the artists taking part, Onibury-based painter Elizabeth Moss, said: “Having recently moved here from Aberdeenshire where I exhibited with the North East Open Studios for several years, I am now delighted to be involved with the Shropshire Hills Art Week which I hope will be the first of many Open Studio events in the area”. Other studios and venues are participating in the nine day event, including Ludlow artist Susie Church (open studio by appointment), and joint exhibitions at Footprints and Hearts in Ludlow and Aardvark Books in Brampton Bryan. For more information on all of the artists taking part, and the art trail, visit http://www.shropshirehillsartweek.co.uk where you can download an arts trail leaflet. This press release was published in the South Shropshire Journal on May 30, 2014. 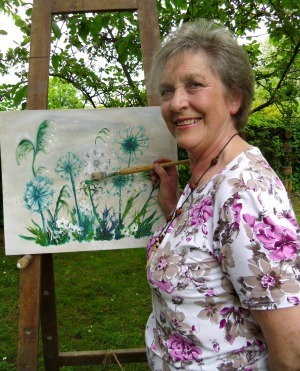 Categories: Press releases | Tags: art trail, artists, Shropshire Hills Art Week | Permalink.